Echigo-yoita Cutlery refers steel tools, called “Kanna”, “Nomi”, “Masakari”, and “Chyona”, those are made using traditional blacksmith technique “Smith forging.” Smith forging is a technique to make and adjust shape of steel by hitting the heated up red metal. 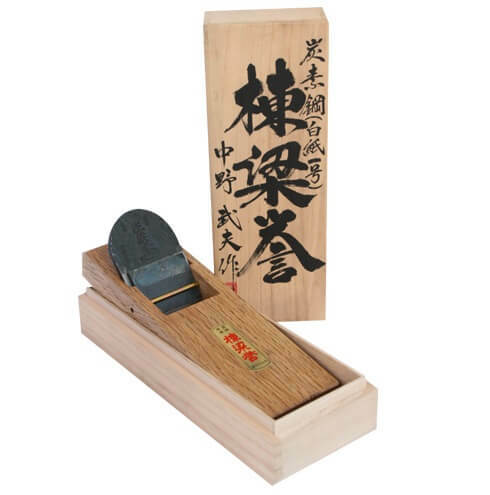 Those tools have been supported many Miya carpenters from middle of the Edo period. 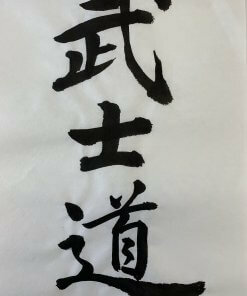 Echigo-yoita Cutlery’s quality improvement is being pursued to continue time to time, so craftsmen love those cutleries because of finest sharpness. In below, let’s take a tour on how Echigo-yoita Cutlery with excellent quality is being used by craftsmen who love its performance. Transparency and beauty of sculpture always bring sparkling charm to the event. 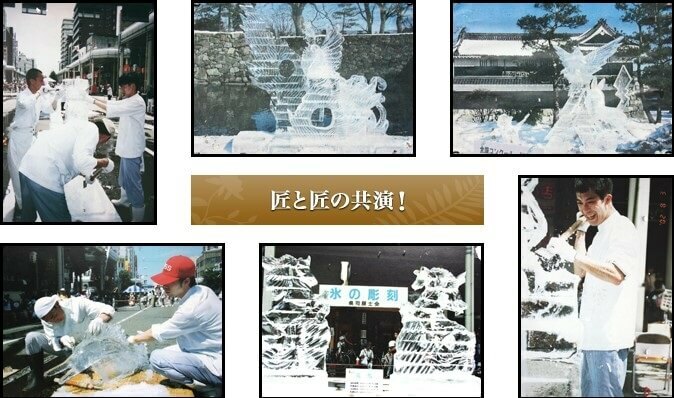 Yoita’s ice sculpture fleas can be perfect tool, like right hand, for creating splendid and delicate arts. 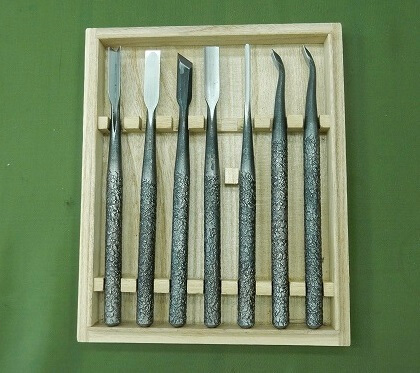 Echigo-yoita Cutlery’s “Kanna”, “Nomi”, “Masakari”, and “Chyona” are speciazed in wood craft works. So, those tools have gotten extraordinary trusts among Shrine Carpenters who handle mainly woodworks. The shrine carpenter is referred as craftsmen who mainly work on building traditional architectures such as temples and shrines. Temples and shrines are built by using “Wooden construction technique”, so it requires woodwork skill and technique from carpenters. In “Wooden construction technique”, woods are tightly fitted with each other using techniques like cutting and slitting without almost any use of nails and steels for building frame skeleton of the building. 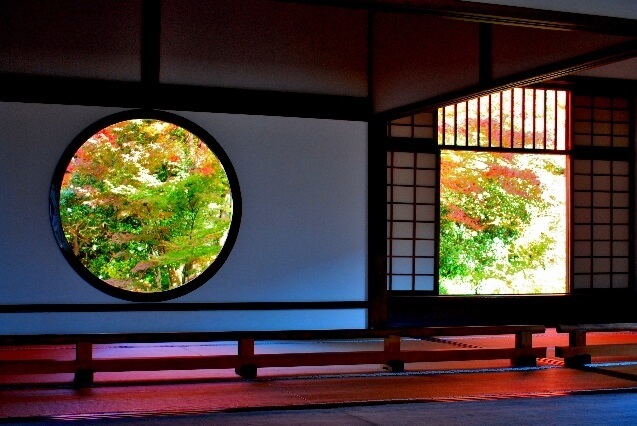 With this construction technique, woods are strongly stitched together, so it protects the building from earthquake which happens occasionally in Japan. Shrine Carpenters use wood stocks prepared manually for the construction instead of using wood stocks which is preprocessed by factory. It takes at least 10 years of work experience to be called as a Shrine Carpenters. Next, let’s take a look at some of actual product of Echigo-yoita cutlery. Since it is finest quality cutlery, it comes with not cheap price. 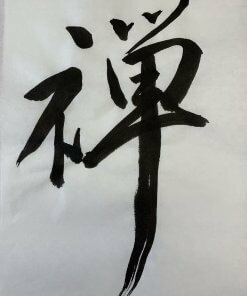 However, it is already achieved to win suitable people’s heart by its sharpness quality. 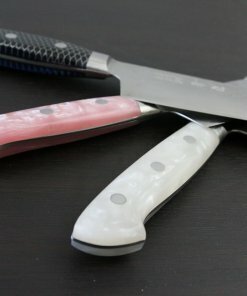 The set of Nomi knives used by artisans over 50 years. This is a highly trusted tool. 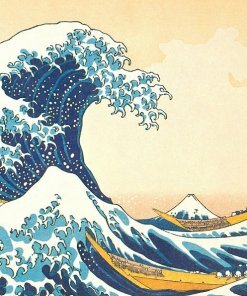 Pure Japanese steel with finest flexibility is used for making it. 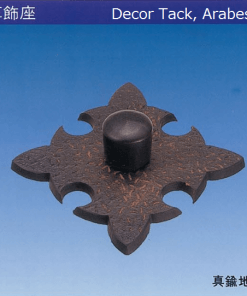 Complete heating process with modern equipment is applied for smith forging process, and naturally dried oak wood is used for handle. 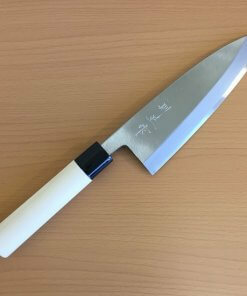 Made of Aogami blue steel 2, which is one of the highest quality and best materials for cutlery. Both blades and handles are made from steel. Because handles are made of the hard steel, you can hit it by hammer to carve. 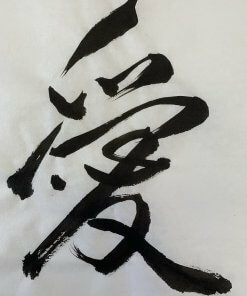 Shirogami white steel 1is close to Tamahagane steel, which is used for Japanese sword’s blade. It has long life sharpness, and easy to sharpen. 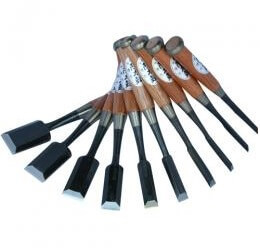 Therefore, Homare Carbon Steel Wood Planer is used by many artisans. Cutlery and knives are inseparable tools for craftsmen especially for ones who does carving. These cutleries have to be very sharp and easy to use and hold in order to create gorgeous designs. For this reason, cutlery is made from very complex processes. 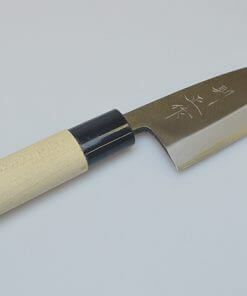 One of the popular cutlery is Echigo-yoita cutlery. Echigo-yoita cutlery is very durable and have long life sharpness because of the traditional smith forging technique. Every Echigo-yoita cutlery is very delicate and precise which every craftsmen and carpenters want. 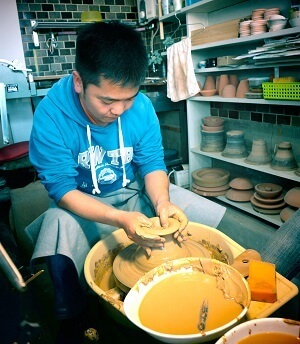 So, it will be very good tool for craftsmen or people who like do it yourselves.